Est. 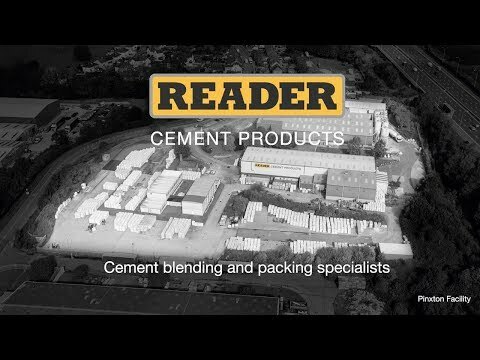 1985 Reader Cement Products Ltd. is the longest established independent cement blending and packing facility of its kind in the UK. We specialise in formulating and manufacturing cement products for the DIY, Construction and Civil industries. We are long standing respected members of the Sprayed Concrete Association and provide full BS EN ISO 9001:2015 certification for all specialised blending. Reader has acquired multiple sites across the East Midlands area including our headquarters and main manufacturing plant, based next to the M1 in Pinxton Nottinghamshire located in the centre of England, where orders are despatched nationally. Reader Cement Products Ltd is a wholly owned subsidiary of the privately owned, UK based company Langley Holdings plc.